5x7 and 6x8 units are stacked "pods or boxes" and not typical storage units. ALL PROMOS ARE FOR NEW CUSTOMERS ONLY! and managed by the same courteous and friendly staff for many years. We offer video surveillance, as well as a completely fenced and lighted facility. Your concerns are our concerns. Best bang for the buck. Staff was courteous and helpful. Another customer sealed the deal for me, she's been using them for years. So far so good. I'm super dooper happy that I found this storage facility. Everything went as smooth as anyone could hope for! All staff were kind and friendly. I'm a happy girl!!! PS I would DEFINITELY recommend Capital Beltway Self Storage to all my friends! As a college student, I needed somewhere to move my things for the summer whole going home. The storage unit I got here was very reasonably priced and they went above and beyond to make sure I got a good deal. I recommend this storage to everyone that need storage. This is the perfect location and price for my need and the employees are helpful and friendly. The service is excellent. The way they store your items is a different experience but I think I'm going to like it. These units are offered at a good price. However, bear in mind that they may be wooden boxes that are only 7' tall, depending on the size you pick. The 6x8 for example isn't big enough to fit a fully packed 10' truck. That said, low prices reflect an efficient system, and so as long as you know what you're getting into, you get a great deal. The customer service guy was very friendly and everything ran smoothly. I was referred to this company by a friend. I've rented several storage units in the past and I must say that this is the most feasible one yet. The units are perfect along with he price... highly recommended. Very quick to pull out storage unit and ensure its ready even when the weather is not accommodating. Representative was engaging and helpful. Great price! Move in was made super easy by Tim who helped me moved in. He even gave me a different storage container when he saw that the one that was prepared for me had a stain on the floor. This storage space is a hidden gem! Great experience! customer service was excellent. would definitely recommend! The 6x8 sized container is offered at a lower price than most 5x5 containers. The access for the stackable bin is essentially controlled by the office, you have to call and they'll pull your storage unit for you. 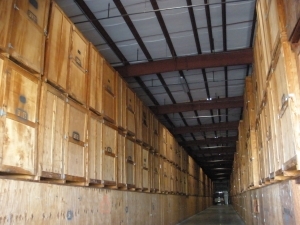 The storage bins are wooden and housed in a large climate controlled building. I'm very happy with them so far!!! I came. I saw. I moved in. They handled the crate and put it in the rack. All I have to do is give them an hour notice to pull it out. Super nice people. Everything was nice and the price was even better. The pricing is ok especially compared to other storage units around. Very good service . Treat customer nicely . The associate was great and the price was the best in town. They made the whole process seamless. Highly recommend. Friendly and helpful staff willing to do what it takes to meet their customer needs. Excellent customer service, fast and friendly. I was running late on my moving day. Aft calling, Jim made my day by staying open for an extra hour just so I could get my stuff in. Very friendly and helpful staff. Makes it worth any other inconvenience, in a lot of ways. A little inconvenient to access. But great prices and helpful, friendly staff. Although out of the way, I felt very comfortable leaving my belongings. Area was clean, the staff very helpful and nice...They made my first time a pleasure. I would recommend this place in a heart beat! So far so good! It was a quick and convenient process; I'd definitely recommend to friends. We've only needed to pull our unit down once so far, but when we did it was a same day requests & it was ready for us. I found this location while driving from GA to MD. I made the reservation for the same day and went straight to the storage and Don in the office was amazing. He helped me complete everything in less than 10 mins and I was able to store my stuff. The wooden units don't have lights though. That was a downside. 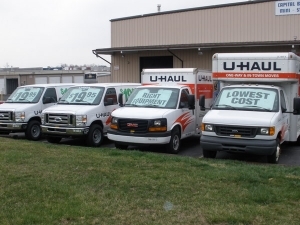 Professionals run Capital Beltway Mini Storage! We just moved in and we had no troubles. Most of the units are easy drive up units rather than having to load stuff onto carts and taking everything up an elevator. It looks a little run down and they don't have temperature control for summer. but the staff is friendly and helpful. Everyone I have worked with at this place has been really friendly and the value you get for the size of the storage is unbeatable. It suits the need but I don't think I'd store here long term. a lot of units are out of reach stored on top of others so you have to call an hour in advance to get to it. There is no electricity in any of the units and even at mid day its dark inside. Great communication with the staff at the facility, the process of finding and reserving online was very easy for an out of town person. Super nice staff, very welcoming and made the process easy. I'm satisfied with the overall experience. Thanks! I wish my unit door closed tightly. This place has been great. All I need to do is call an hour before I arrive, and they make sure my storage unit is out and easily accessible. The staff was great, I signed up in about 10 minutes, filled my storage unit, and was on my way! All the other places I was looking at were around $150 a month. Who has that kind of money for a storage space? Use that money and just buy yourself the extra square footage in your apartment! This place has such a great value for what you are getting. Overall its been great and I would recommend this place to anyone! Fast, convenient, affordable, with friendly service on top of it all! friendly service and easy move-in experience. Happy with my storage choice! Great service and helpful staff! 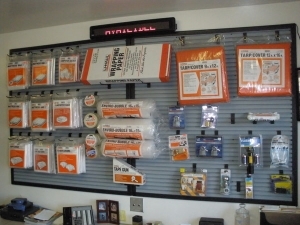 Great pricing on rollup for units. Very happy. The folks that work here are outstanding and always very professional. You can't beat the value they provide for being close to Washington DC. Another plus is that they provide U-Haul rentals at the location so moving things in/out of the storage facility was a breeze. It was really good. The gentleman at the desk was very professional and helpful. He was even willing to stay a little late to allow us to finish unloading, very nice. Overall, my experience was great and it has been a true blessing for me to have had their services in such a short notice. I was expecting an actual storage unit- the kind I've rented before, ie a metal-walled room with a door. These are storage boxes- when I got there I was surprised to find I was paying $50 per month for a wooden box that had to be retrieved via forklift. It looked rickety and the wood was extremely rough, ie it had lots of splinters and I was afraid it would scratch my furniture. I probably wouldn't have gone ahead with the rental but I had to return the moving truck and didn't have a lot of choice. That being said, the space was FAR cheaper than anything I could find in DC, the staff were helpful, and when I retrieved my things after about 4 months everything was fine (except for a pretty unpleasant smell from the hot wooden box.) If you're looking for value, this is it; if you want top-notch security and protection for your things, probably pass. Great price for DC metro area!! Good experience. After looking around DC, i'm happy to say i'm pleasantly secure in storing at Capital Beltway. Great people, great storage facility, Papa Johns. I mean Capital Beltway. I am glad the employee called me to make sure I was coming in. Great! Very helpful staff. Good location. Great experience and I love the facility. Staff was VERY helpful and answered my seemingly "never-ending questions." I've never used a storage facility before and they took the time to put my mind at ease. Pleasant, efficient and inexpensive. Much better than a previous experience elsewhere. Friendly customer service, clear instructions and expectations, clean and seems secure. Overall very comfortable with the facility. Quick process - was in and out.